Communications minister Siphiwe Nyanda is in the spotlight again over his apparent penchant for lavish spending of taxpayers’ money. According to a newspaper report on Friday, the minister has racked up huge bills at five-star Cape Town hotels, even though he has an official residence in the city. According to the Mail & Guardian, Nyanda has “not spent one night in his ministerial residence”, instead using the “lavish rooms at the Mount Nelson and the Twelve Apostles hotels at a minimum cost of R4 000/night. The newspaper says it is in possession of a bill for R33 330 the minister ran up for a six-night stay at the Mount Nelson. 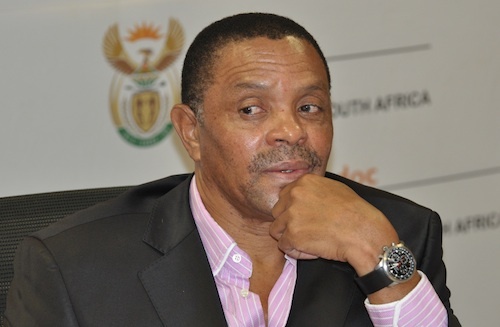 It’s not the first time Nyanda has been criticised for lavish spending at taxpayers’ expense. Shortly after taking office in 2009, his office bought two 7-Series BMWs at a cost of about R2,4m.